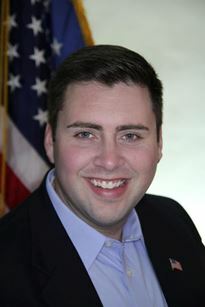 TAKE ACTION: Help elect openly gay candidate David Cox to US Congress! Since launching my campaign for United States Congress over a year ago, I have been overwhelmed by the outpouring of support and encouragement from friends and neighbors throughout Florida’s 6th District and beyond. In the past year, I have traveled throughout the state of Florida listening to the concerns of Florida’s residents, which are shared throughout our community, and country. As an openly gay candidate, I understand the unique needs of our community, and the importance of having a seat at the table. But I cannot do this alone; I want to use my voice, to make yours heard. My campaign is dedicated to ensuring that everyone has an equal shot at the American Dream; the same dream that you envision for yourself, your children, and your grandchildren. Fundraising has been okay, but until I’m officially a candidate–qualified by the State–many people and organizations that have promised me they would support my campaign with donations, are waiting for the qualification. We have to qualify by the end of next week, which means I need your help now. As of today, we are a little short and we’re running out of time. By donating to my campaign, you will provide me with the resources to qualify for the ballot and to reach out to more constituents across District 6, and to share my vision for not only our district, but the nation. I ask you to join me in my campaign to forge a new tomorrow. Will you join me on this journey by contributing to my campaign today? Your support is the backbone of my campaign; it’s what keeps me going every day as I work toward becoming the next congressman of Florida’s 6th District. I look forward to representing the priorities of the LGBT community in Washington after our victory in November. We have less than one week to qualify, so please lend your financial support as soon as possible. We can win this race, but I need your immediate help. Thank you for your consideration. I look forward to working with you in the weeks to come. Paid political advertisement paid for in-kind by Florida GLBT Democratic Caucus. Approved by David Cox, Democrat, for Congress, District 6.